Hi guys!!!! 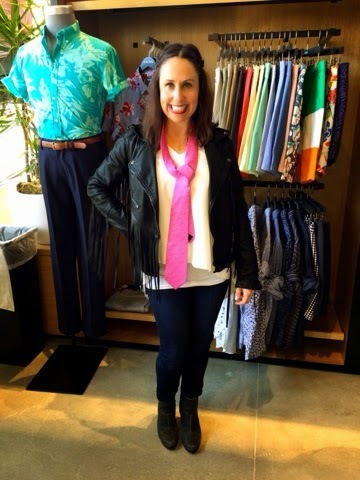 I'm so excited to share with you a new Men's store in Fashion Island, Bonobos. 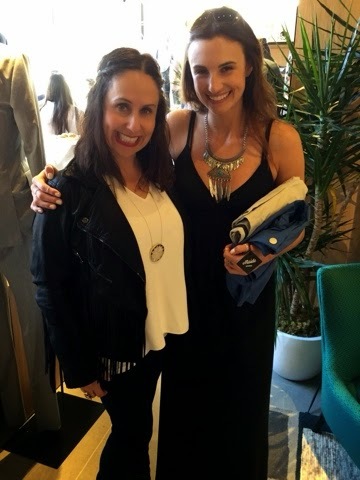 I was lucky enough to be invited to the opening of this fabulous store. Of course I brought along Jessica and Julie (Cathy was out of town) as my guest photographers for the day. 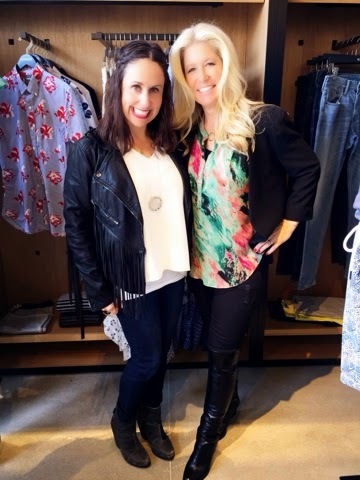 We learned all about the Bonobos concept. 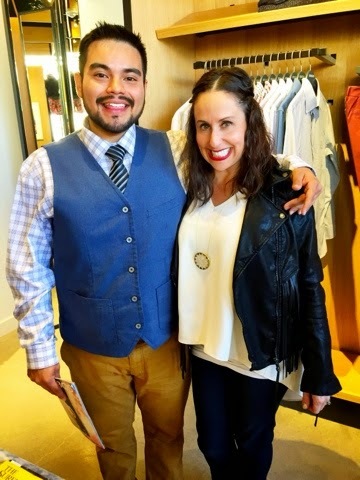 Bonobos – the largest menswear retail brand to launch exclusively online – opened the Bonobos Guideshop at Fashion Island on Thursday, March 12. 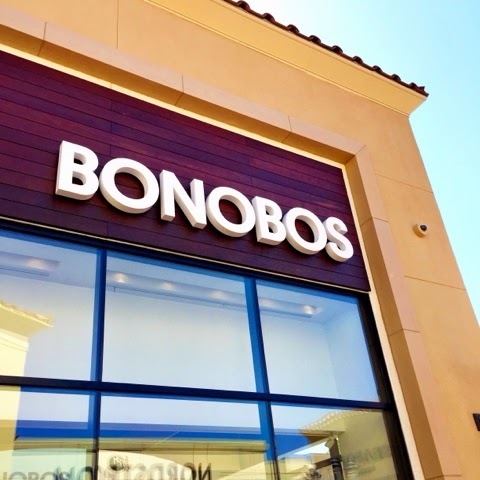 The opening marks the first Bonobos Guideshop location in Orange County. The Guideshop brings Bonobos’ personalized and comprehensive shopping experience to life with a physical e-commerce store. 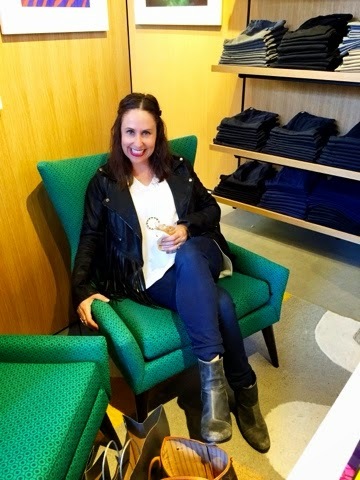 The brick-and-mortar Guideshop offers men the opportunity to look, feel and try current collections from Bonobos, in a relaxed appointment process led by a skilled Bonobos “Guide”. 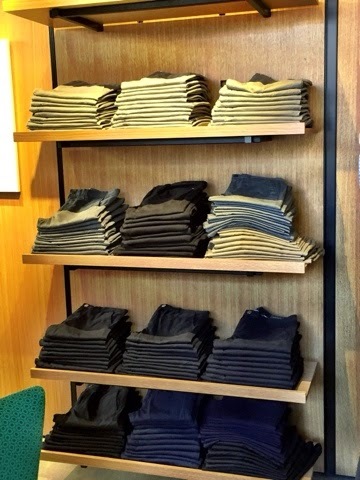 Once fit for style and size, customers can make a purchase at Bonobos.com while at the Guideshop, or later at home. Sizing + order information is saved to an online customer profile for easy access later, and product arrives (with free shipping!) 2-5 days after the order is placed. Julie placed an order for her husband's birthday and it was so simple. So if you need a gift for that special man in your life, visit Bonobos. And don't forget to follow me on Instagram, Facebook, Twitter and Bloglovin. Happy reading!!! Hi guys!!!! Spring is here!!! Spring time reminds me of bright fun colors in clothing and makeup, especially lipstick. I've talked about lipstick before. I LOVE color on lips when you pair it with lighter makeup on your eyes. I always wear a great red in the fall and a fun pink in the spring and summer. It gives me a pop of color and makes me feel more refreshed. Ladies tell me all the time, I can't wear color on my lips, it doesn't look good on me. But my advice is yes you can. Maybe not everyday, but give it a try from time to time. 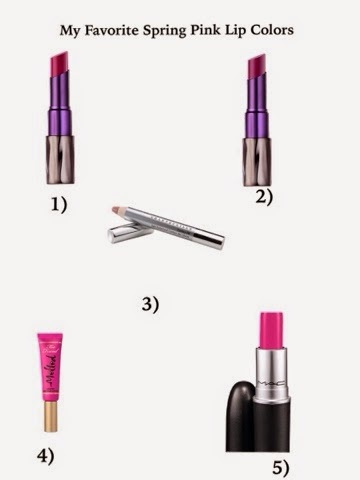 I've listed my favorite pinks for Spring. Try one out and let me. Know what you think. I also added the Chantecaille contour fill pencil which my cousin Michelle introduced me to. She is a fabulous makeup artist and recommends this so brighter colors don't bleed. It works wonders. Please leave me comments and let me know how your search for the perfect Spring pink is going!! You will be so surprised with the results once you try a little color on your lip. Happy reading and don't forget to follow me on Instagram, Facebook, Twitter and Bloglovin. Hi guys!!! 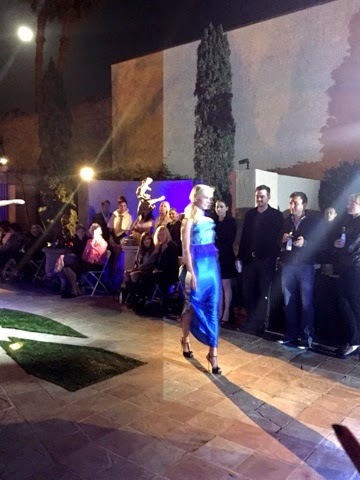 Cathy and I have been so busy lately with OC Fashion Week and the new show Fashionista Now Boarding (coming soon). 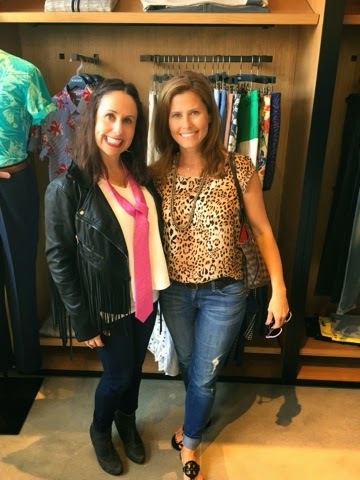 It was so fun to take a casual day and just run errands and have a quick bite to eat in the cute little shopping center in Newport Beach by our kids' school. I decided to wear this adorable plaid printed top. I know spring is here but sometimes it gets chilly in Newport and a great plaid button down is a perfect investment on those cooler days. You can also tie it around your waist for a more trendy look. I paired it with my favorite Topshop white t shirt and distressed boyfriend jeans I added Converse tennis shoes and I was ready to run around town getting business done! What is your favorite go to casual look? I would love to hear about it in my comments section. Thanks to Cathy Cordas for photos and don't forget to follow me on Instagram, Facebook, Twitter and Bloglovin. Happy reading!!! Hi guys!!!! 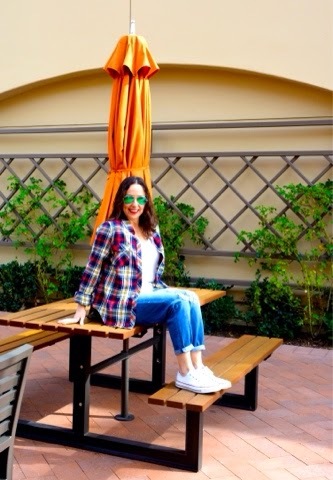 Everything Evelyne was featured in the OC Register for street style on March 22, 2014. Here are the amazing people that Cathy and I found at the Crystal Cove shopping center in Newport Beach. Check out the article online at OC Register. 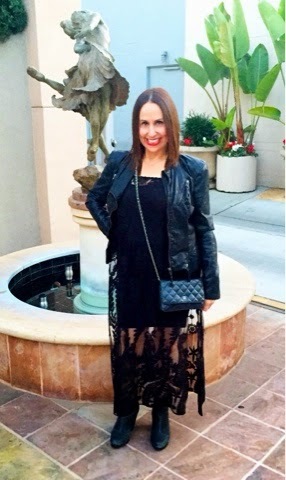 This is Randi Covington who we found in Coastal Cool wearing a floral printed dress, a black Chan Luu sweater and lace-up Joie sandals from Coastal Cool. 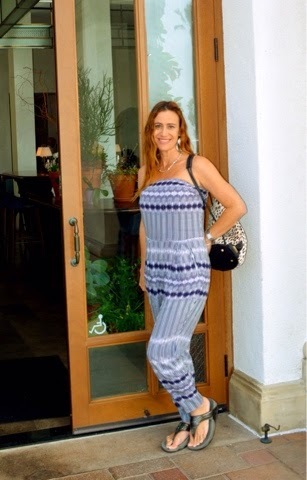 Kim Cohen poses at Babette's wearing a Witchery jumpsuit, Elizabeth and James animal print purse, black flip flops and a John Hardy necklace. Debbie Sidebotham was spotted wearing a Free People top, Topshop faux leather shorts, studded Steve Madden sandals, oversized leather shoulder bag and and RJP bracelet. 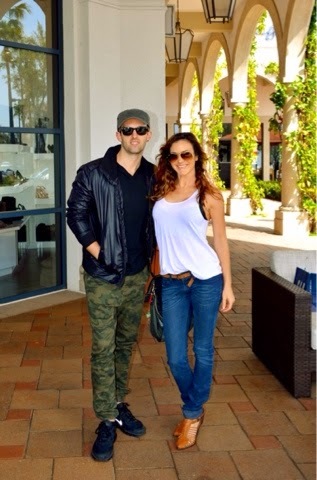 Couples alert: Here is Jordan Frisbee wearing a Diesel jacket, Zanerobe pants and Nike sneakers. 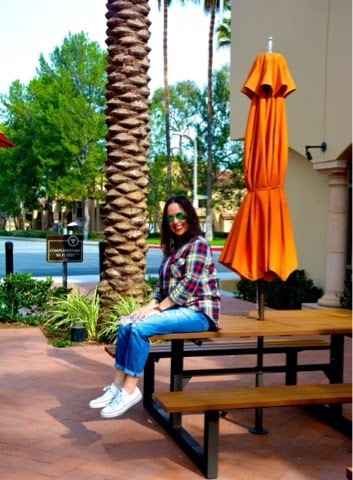 Jessica Cox rocks a sheer white tank top, Diesel jeans, shoes from a local boutique and a BCBG bag. 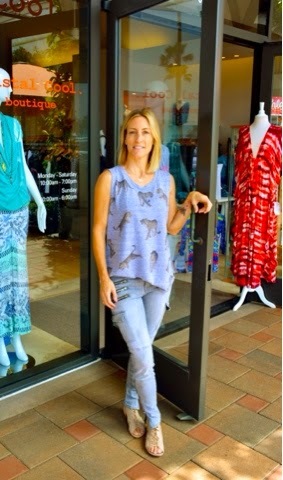 Jules Krug was photographed wearing a printed tank top, J Brand cargo pants, and lace up Joie sandals from local boutique Coastal Cool. What a beautiful day at the Crystal Cove shopping center. 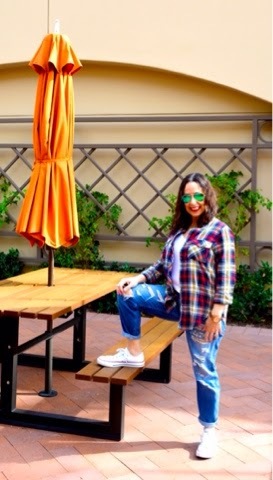 Check out the OC Register and Everything Evelyne for more on street style. You never know who you may see!!! Thanks to Cathy Cordas for photos and happy reading!!! 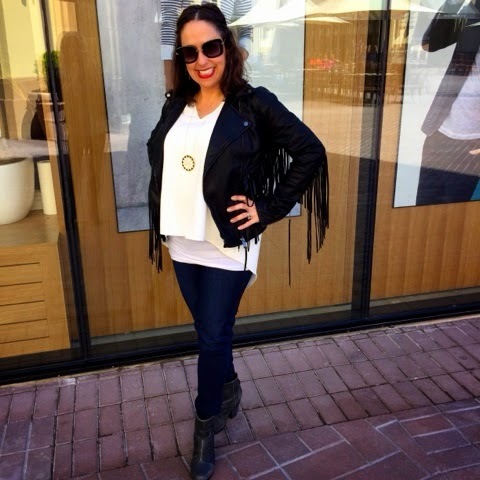 Interview with Manna Kadar, of Manna Kadar Cosmetics and host of Fashionista Now Boarding about my views and thoughts on OC Fashion Week. Hauteoc Traveler introduces Fashionista Now Boarding the Show Series for those that love fashion and travel. Makeup pro Manna Kadar is the host of Fashionista Now Boarding alongside special guests visits, behind the scenes look at friends, trends and beauty secrets and of course fashion, style and blogging. Now I would love you to check out my Fashionista Now Boarding Interview. And I'm proud to announce that I will be the new correspondent with Manna at Fashionista Now Boarding. 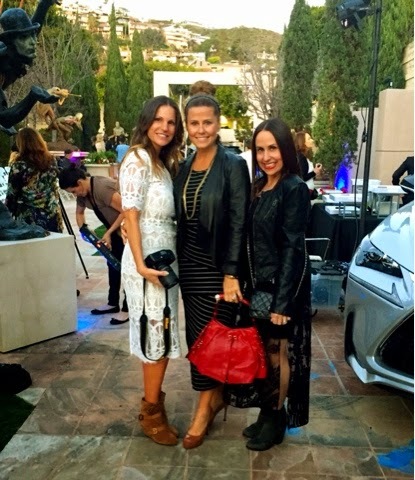 I will help Manna provide you with the latest information on style, fashion and blogs. Hope you enjoy this and don't forget to tune in for future episodes. Hi guys!!!! 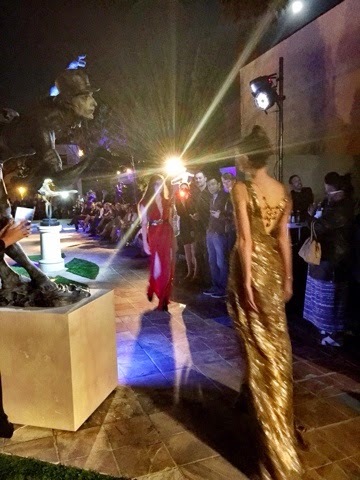 OC Fashion Week ended last Thursday night with an unbelievable show at the magnificent Sculpture Garden presented by Dawson Cole Fine Art in Laguna Beach. 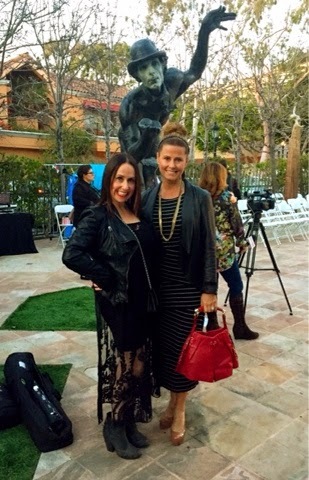 Cathy, Jessica and I had a great time enjoying the beautiful setting of the Dawson Cole Garden and enjoyed culinary couture and champagne presented by Creme de La Creme and West Coast Bar and Beverage. 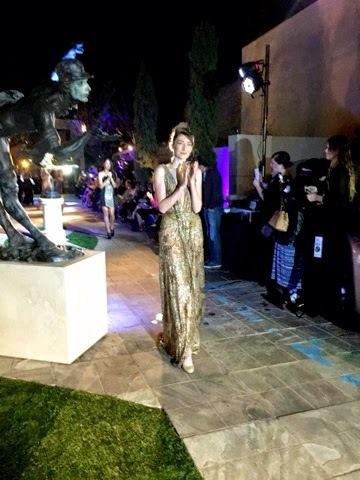 The Haute Couture show featured the collections of locally known OC designers Dawn Nguyen of Dawn Sunflower, Elda Doamepko of Afelda, and introducing Kalia Methven of Latrodectus. 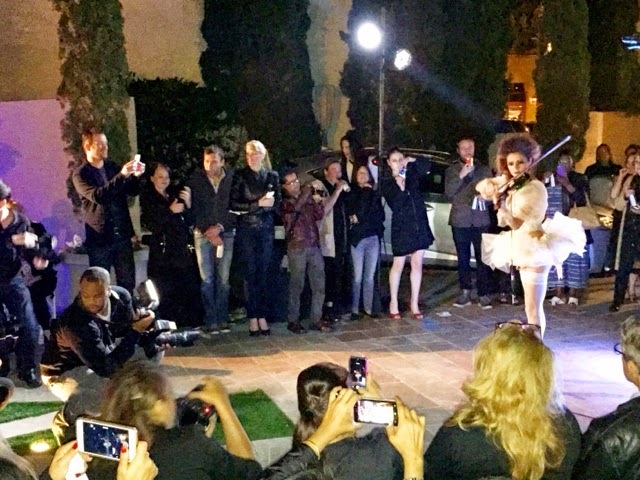 A portion of the ticket proceeds were donated to the JDRF. It was an amazing evening under the stars. 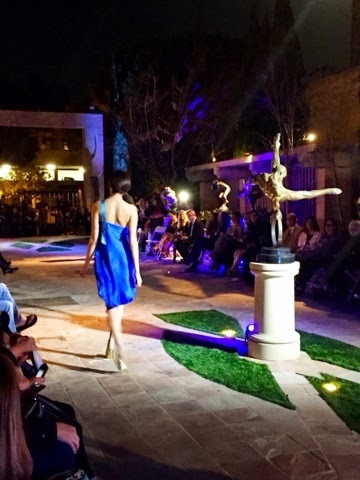 What an incredible week at all the events we attended for OC Fashion Week. I hope to see you all in September!!!! 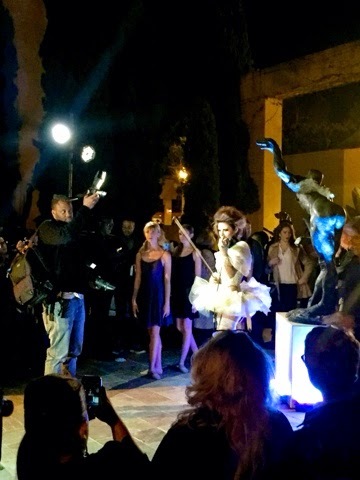 Thanks to Cathy Cordas for photos and happy reading!! Hi guys!!!! 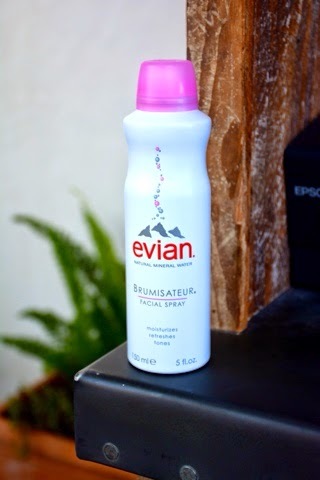 I'm so excited to share with you the evian Facial Spray. I was sent a 5 oz bottle and couldn't wait to try it. The evian Facial Spray can be used to intensify makeup colors, revive color throughout the day, and set makeup after application for a youthful, dewy look. Evian Facial Spray also naturally hydrates your skin. All you need to do is spray a light mist to your skin and it hydrates, tones and refreshes skin throughout the day, and it is compatible with all skin types. I tried it first after I cleansed my face. I sprayed evian Facial Spray over my entire face and waited for the micro-droplets to be absorbed, then I patted the excess dry. It was so refreshing and made my skin glow. I also used it throughout the day over my makeup. It made my skin feel so revived. Here are more ways you can use evian Facial Spray. 1) To create intense color with makeup: Spray your brush with evian® Facial Spray before applying colorful or metallic eyeshadow to create intense, bold colors that don’t look chalky. 2) For contouring and blending: Before blending bronzer with foundation, wet a Beauty Blender or other blending tool with evian® Spray to create an airbrushed, flawless look. You can also use evian® Facial Spray to blend foundation along the jawline and neck to eliminate unwanted foundation lines. 3) To set makeup: After applying foundation and/or powder, lightly mist skin with evian® Facial Spray in a circular motion to set foundation and/or powder for a more natural look. I also loved how easy it was to carry around with me throughout the day to give my skin that extra refreshed look and feel it needs. The canister is leak-proof and can fit in your gym bag, or purse. 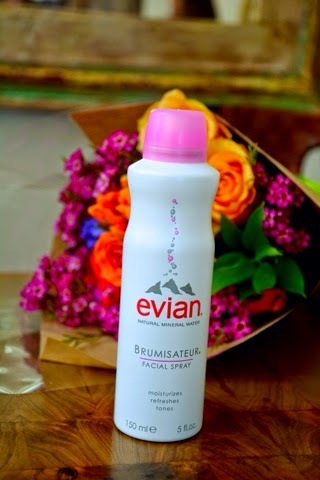 Check out www.evianspray.com or www.facebook.com/evianspray for other great ideas and uses for evian Facial Spray! 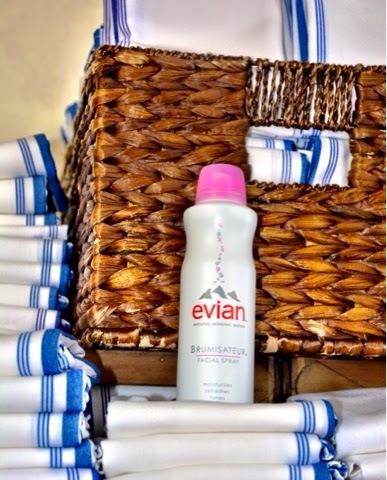 evian Facial Spray currently has a giveaway going on to Everything Evelyne readers. evian® is giving away 20 two 5 oz Facial Sprays. Winners will be chosen at random. This giveaway is hosted by The Wilkes Group and not evian. evian® Facial Spray is being provided by the exclusive USA distributor, The Wilkes Group. Please use this link to https://promosimple.com/ps/6a83 to receive the giveaway form. Giveaway ends 3/29/15. I know you will love this product as much as I do. We all deserve to have that refreshed dewey look to our skin every day. Our skin is such an important feature to our beauty look, and it is so important to take care of it. evian Facial Spray has made it so easy. It is just a quick spray away!!!! Hope you try it out. Thanks to Cathy Cordas for pictures and happy reading!!!! This was a sponsored post but all opinions are my own.